Approaching his surgery with a contemporary outlook, Dr. Nejkov has acquired his experience working in some of the world’s most reputed hospitals and medical universities in the Republic of Macedonia, Cyprus, Serbia, and the UAE. 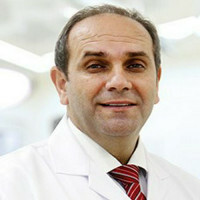 Dr. Najkov is also associated with the European Scientific Board of Surgeons (ESS). European Scientific Board of Surgeons (ESS).